On the 26th of April, 1915, the 15th Ludhiana Sikhs were assembling ready to move up into the Ypres Salient. Shortly after they moved off, the march was halted due to enemy shelling. All non-essential transport was left behind and the Sikhs continued onward by companies, leaving a three minute gap between each. Around them was absolute chaos – heavy traffic in both directions, transports full of wounded, groups of refugees, other bodies of infantry. They pressed on. 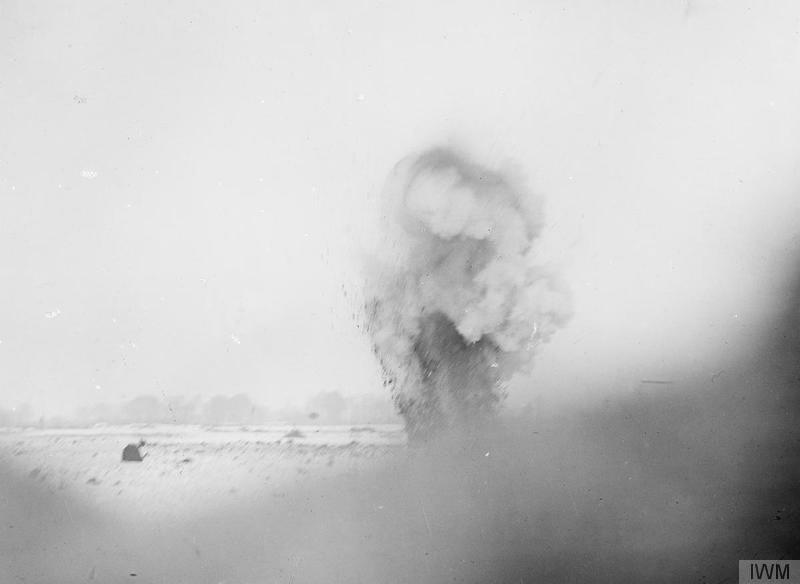 Image © IWM (Q 1687) – An enemy shell bursting near the front line trenches, Beaumont Hamel, December 1916. Imagine the sight – endless salvos of shells slamming into this ancient and beautiful town, history being undone right before their eyes. The Sikhs left the main road then, passing north of the town, where comparatively few shells were falling. The diary author notes that it was still sufficiently unpleasant to keep them from dawdling on the way. ‘…best compared to that of an express train’. 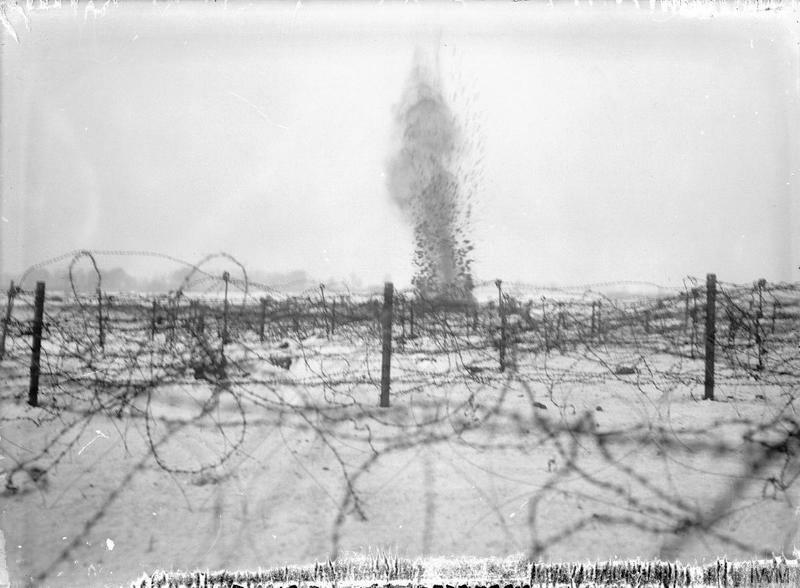 Image © IWM (Q 1688) – A shell bursting amongst the barbed wire entanglements on the battlefield at Beaumont Hamel, December 1916. Why not join Josie and the rest of our Citizen Historians in preserving these links to the men who chronicled the First World War? With your help, their legacy will live on for many generations to come. Get involved at Operation War Diary.